New site takes crate digging online. Say goodbye to your Friday afternoon. 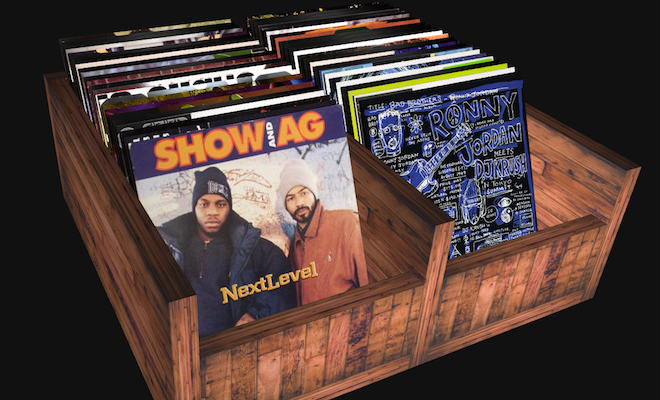 While there are several web and mobile apps that attempt to take the crate digging experience online, none do so with quite so much tactility as Digging Into Hip Hop, a new interactive 3D site that allows you to (almost) physically leaf through crates of classic hip-hop vinyl and listen to what you find. Linking to Discogs and YouTube, you can complete the armchair digging experience by buying the records you discover, although with only 60 records so far, don’t expect this to slake all your crate digging needs just yet.